We’ve often heard of "the secret of successful investing is to diversify their risk" - so how does one go about this? 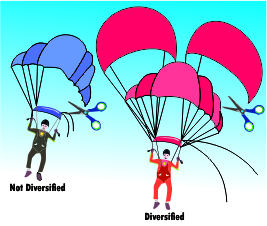 And what does diversification really mean - does it only mean that one should spread ones portfolio across various types of assets, in terms of cash, debt, shares, mutual funds, deposits etc? Or can one diversify ones portfolio even further? Looking at the investment instruments available to investors there is plenty to choose from in each category. For example, within deposits, today investors have the choice of fixed, semi fixed, two in one accounts etc. For mutual funds also investors can diversify across liquid, balanced, growth, income etc. Coming to stocks also there is a lot of diversification possible. It's critical to understand the basic types of stock available on the market in order to match your investment style to types of stock. The most basic way to classify stocks is by size, growth potential and returns. When stock market experts talk about size, they're referring to the market capitalization of a stock. "Market cap" refers to the rupee value of a company. It's computed by multiplying the total number of a company's shares by the current price per share. Large-cap stocks are shares of companies with the biggest market capitalization. Stocks of Reliance, ACC, Infosys, Satyam etc, are considered the most stable and successful. Their sheer size provides a cushion during recessions. Large caps are more likely to pay dividends to shareholders. But because they are more established with less room to grow, large caps are less likely than smaller stocks to give those big-time returns. A blue chip is one of an elite group of stocks of corporations that have a history of good dividend returns (in both good financial times and bad), solid management and good growth potential. Blue-chip stocks, like Hindustan Levers, ITC, etc are among the most stalwart and low-risk investments available in the stock market. Small-cap stocks are the babies of the stock market. The upside to these stocks lies in the market perception that these stocks have a major growth potential. Orchid pharmaceuticals, Morepan lab, Aks opticfibre etc. can be classified in this category. Small caps have the potential to do even better than large-caps, in terms of returns at the bourses. Investors interested in long-term growth, hunt out the strongest small-cap prospects. The downside: Many small-cap stocks may not even have any real earnings. In the short term, these stocks can be volatile and are less likely to pay dividends. Penny stocks are so named because their shares can often be had for mere pennies. That sounds good to frugal investors. Obviously, penny stocks have enormous growth potential. But every good shopper knows that cheap is not always a bargain. There may be good reasons that the stock is depressed in the first place. The company may be too new to have gained investor confidence, or perhaps it is in a state of financial turmoil. Journalists and professional analysts at major stock brokerages tend to ignore penny stocks, so there is little information about these companies from third-party sources, increasing the risk of fraud and thus making them less attractive. Since most penny stocks are traded on minor stock exchanges with less-than stellar reputations for overseeing their member firms, the risk of fraud is compounded. All these variables make the purchase of penny stocks risky for novices, no matter what they might hear in an Internet chat room. However, experienced investors should not rule out penny stocks altogether, because they do offer the potential for big rewards. The trick is to find the diamond in the rough. In terms of growth potential and return growth stocks, Momentum stocks, value stocks, income stocks and cyclical stocks should all form a part of the portfolio. 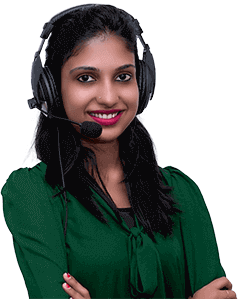 Growth stocks are stocks with rapidly rising profits, such as Global telesystems, Himachal futuristic, Visual Soft, NIIT etc. Technically speaking, growth stocks usually register annual earnings increase of 15-25 percent. Growth investors expect that a company with accelerating profits will also have a rising stock price. As you'd expect, while you can make lots of money in growth stocks, you can also lose a lot. This happens when professional growth investors divest from a growth stock if its growth rate slows, sending the stock price spiraling down. Momentum stocks are like growth stocks-squared. Momentum investors buy shares in companies whose earnings are growing at increasingly higher rates. Lately, these have been technology stocks such as Infosys, Satyam, Wipro etc. Momentum investing often only works for a short period of time, but when it does, it pays off. However, momentum stocks are risky for that very reason, that it's difficult to determine when their window of opportunity will close. The stock price can plummet rapidly. Value - In the investing world, "value" is a euphemism for "cheap." Value investing is like shopping for designer duds at a deep discount. Value stocks are shares of a company that is undervalued in the market relative to its future earnings potential. Perhaps the company has had a problem with profits, a poorly received product or another passing predicament that has put some downward pressure on its stock price. Or perhaps the market simply favors stocks of a different type at the moment. The important thing for value investors is to find companies whose problems are only temporary. A value investor is banking on the stock price rising to meet its true value. Stocks like Ranbaxy, Punjab Tractors, Tisco etc. would qualify as value stocks. Cyclical stocks are another category of stocks. Petrochemical, cement, steel, etc. are all industries which have well defined industry cycles. Stocks of these move in tandem with the general economic scenario as well as the industry scenario. Cyclical investors attempt to anticipate which way the economy will go (often an iffy proposition even for economists) and invest accordingly in cyclical stocks that will benefit from a boom or bust. For example, when the economy does well and there's a building boom, steel makers and construction companies do well. When the economy slows, so do their profits. Income stocks are pretty much what they sound like -- stocks that provide a steady stream of cash to shareholders. Income stocks, like FMCG, utilities pay relatively high dividends. Known as the choice of "widows and orphans," Colgate used to be the classic income stock, providing a decent regular income and stable price levels. Conservative investors like this type of stock, because the dividends can cushion the blow of a sudden drop in price. Even if the ticker price takes a nosedive, the stockholder has already received a portion of the company's profits in the form of dividends. But income stocks have a potential downside. The company's board of directors sets the rate to be paid on dividends each quarter. They often try to maintain the payout even if the company has been losing money for a few quarters. But when a company's stock falls, its dividend (expressed as a percentage of the stock price) may appear to go up. And if performance continues to lag, the company may not be able to pay shareholders any dividends, and this type of stock won't seem so safe after all. So with every type of stock there is an attached risk. One can study various kinds of stocks and then have their stock portfolio across the categories. How much weightage an investor would give to each category would obviously depend upon his or her risk profile, age and aim.